Select an option among our wine resorts around the country. In each of them you can live a unique experience. Atamisque Lodges have been created to enjoy the pleasures of rural Mendozian life in Tupungato, Uco Valley region with lovely landscapes to the Andes mountains. 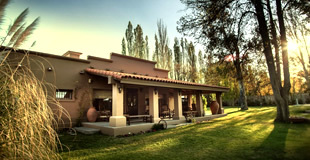 The wine estate has also a design winery, a small and rustic restaurant, golf course and a trout farm. 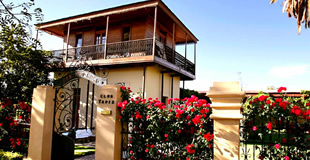 Club Tapiz is located in a residence built in 1890, surrounded by 10 hectares of vineyards. The house was restored conserving its structure of Renaissance village and conserving elements of the epoch, such as the patio and the pine wood flats. 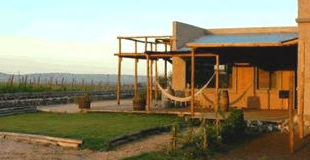 Finca Ogawa is a vineyard with productive organic garden open to tourism in the Uco Valley. It has 4 independent houses for rent with all services. 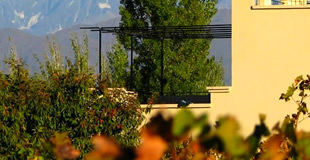 Here you can enjoy a real rural wine tourism with unbeatable views of the vineyards and the Cordillera de Los Andes. 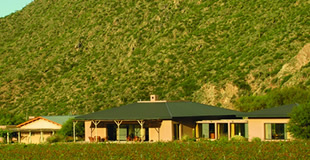 Posada Salentein is a small and exclusive estancia surrounded by the vineyards of Bodegas Salentein at the foot of the Andes Range. It is locates in Tunuyán, in Uco Valley, just one hour and a half from Mendoza City. The Posada has 16 double rooms where peace and simplicity reign. 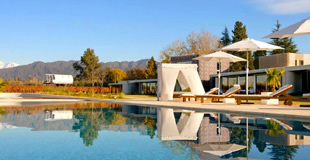 Fuente Mayor Hotel & Resort is a 4-star hotel that combines first-class services and comfort in one of the most beautiful regions in the world: Uco Valley in Mendoza. 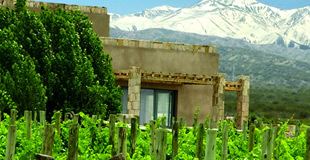 The hotel is immersed between vineyards and the Andes. The property covers a surface of 40 hectares, of which 20 are cultivated with Malbec. Finca Adalgisa is the first rural hotel with wine cellar of Mendoza, surrounded by two hectares of malbec grape vineyards. The guests are welcome besides to visit the wine cellar, to be familiarized with the process of fermentation and to taste their limited and exclusive production of wine Malbec. Verde Oliva is a small Inn that dates back to the 19th century. It was carefully re-built to preserve the quality of the material and the original atmosphere. The Malbec vineyards and the one-hundred-year-old olive grove create a quiet and private atmosphere just 16km from the city center of Mendoza. 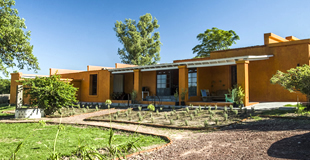 Finca La Puebla is a countryside hotel located in Altamira, Valle de Uco situated among a malbec vineyard with breathtaking mountain views and close to the urban center of La Consulta. It has 2 lovely suites, 2 lofts and 1 warm cottage for a family. 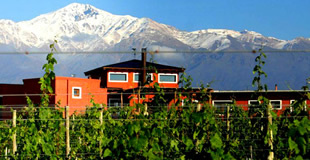 Finca Blousson is small and rustic Bistró among vines with beatiful landscapes to the Andes mountains. 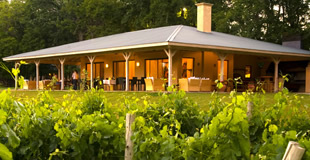 It has recently added two rooms in the Guest House for wine lovers. Finca Blousson B&B is an ideal place to relax, be on the country in contact with pure nature. 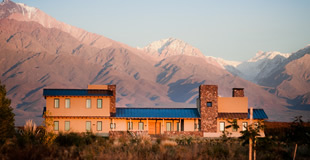 Entre Cielos lies in the beautiful Mendoza region in the foothills of the Andes. The vineyard hotel and hamam + spa's modern design creates an elegant, poetic environment, respectfully integrated into the landscape, where you can be sure of warm and friendly service. 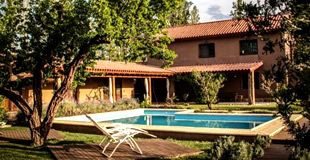 Robles de Besares is a charming country inn run by its owners, located in one of the most peaceful and charming places of Mendoza, Chacras de Coria, city head to visit the Wine Roads of Mendoza. 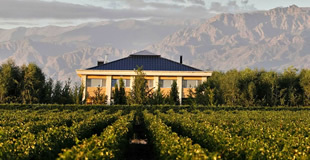 Villa Mansa is located in Lujan de Cuyo, heart of the soil of the worldwide famous Malbec and surrounded by wineries. 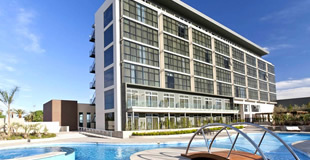 The hotel features stylish rooms with balconies, Wi-Fi, pool and tours to wineries are its highlights. The Inn of Finca & Bodega Vistalba is an unique place. Enjoy the experience to be lodged in a wine cellar, appreciating the wine elaboration process since its beginnings. The unique view of the mountains frame the landscape and the vineyards that embrace the Inn. 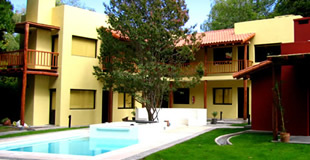 Posada Borravino is a small and cozy boutique country hotel surrounded by trees, old farms and vineyards. 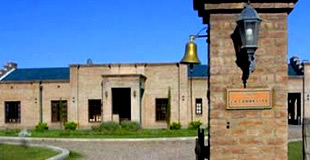 Located in Chacras de Coria, the base for visiting the wine roads, just 15 minutes from Mendoza City by car. 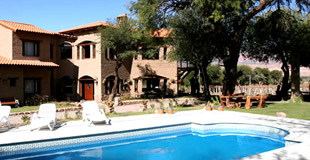 Casa Estancia Mendoza is located in the heart of the Uco Valley. It is an exclusive and intimate Casona of exquisite elegance and refined details overlooking the vineyards and the majestic Andes Mountains. 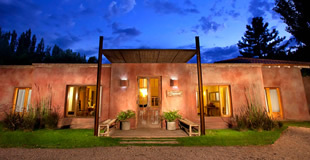 Lares de Chacras is a charming rural hotel located in the small town of Chacras de Coria, Mendoza. A rustic "medoncina" architecture of stone and wood does it very welcoming for guest. It has a beautiful wine cellar with glass roof for wines tastings and other facilities as its magnificent swimming-pool. In the middle of the Wine Routes in Uco Valley, among the wineries, and the vineyards from the most well-known wine makers is Tupungato Divino, a lodge and a not at all conventional restaurant. 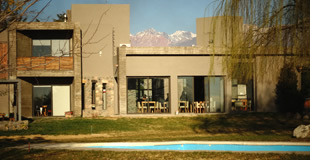 The premises consist of 5 hectares with an outstanding view; at the foot of the Andes Mountains. Located in the heart of Chacras de Coria, a few minutes from the city, Casa La Galeana offers a space of relaxation and comfort where nature, art and excellent cuisine, are the ideal setting to taste a good Malbec. 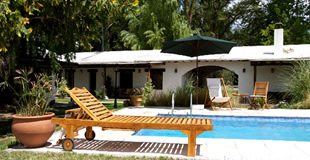 Finca La Azul is a guest house located in the Uco Valley, near the city of Tupungato. The house has 6 exclusive rooms among a landscape of vineyards and fruits overlooking the Cordon del Plata. Just an hour and a half from the city of Mendoza, La Morada de los Andes offers you to wake up in the tranquility of the Uco Valley, in an environment of vineyards and with a dazzling view. Finca Terrada has a beautiful 1920s employer's house, which has been renovated a short time ago. 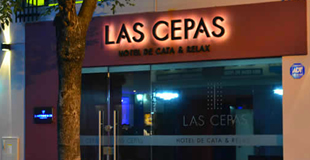 Located in the area of ​​Maipú-Russell has 5 rooms. Here guests can enjoy the view of the garden, the old Malbec vineyard (50 years old) and as background El Cordón del Plata. 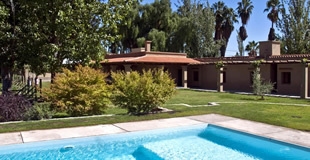 The Hotel Finca Hermitage is located within the Casa Vinícola Reyter winery in Guaymallén, just 15 minutes from downtown Mendoza. 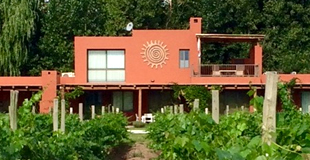 Modern style has a traditional cellar and rooms overlooking the vineyard. The Rosell Boher Guest House is a private guest house located in the heart of the Village of Viñas, is surrounded by vineyards and unbeatable landscapes that invite you to live unforgettable experiences at the foot of the Andes. The recently opened Lodges of Rosell Boher are located within a Village of Viñas (near the Guest House). They are private lodges that have excellent services to make your stay a unique experience. Stunning views of the mountains and vineyards. Valle de Uco Lodge is a special place to relax in style while exploring the most desirable areas of the Mendoza Wine Country. Centrally located in Valle de Uco, about a ten minute drive west of the town of Tunuyan, this exclusive 38-acre resort is yours to enjoy and explore. 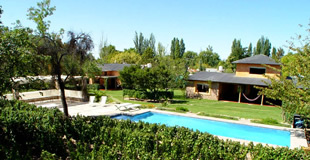 This casually elegant Mediterranean lodge is located in Chacras de Coria, an upscale country suburb of Mendoza City. The lodge facility is a charming remodeled home with adobe walls and hollow cain ceilings that includes a wine bar, living room, office with internet access, and tranquil verandas. 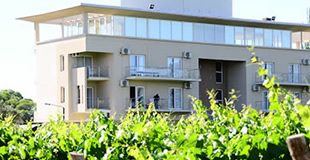 The Auberge Du Vin hotel is located within Tupungato Winelands, Wine Country Club, approximately 8 km. from the center of the city of Tupungato. This complex also has the most incredible views of the Andes, and spectacular golf and polo fields. 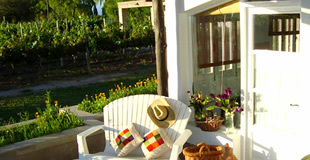 The House of "Conalbi Grinberg Casa Vinicola" has the dreamy air of Mendoza wineries. Soothing gardens well maintained, colorful galleries, and a wonderful Andean landscape. This place is a trully mendocino house, located in the countryside, not a hotel. 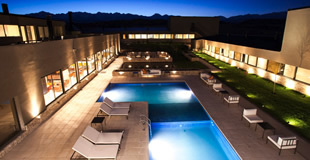 Esplendor Mendoza is a new boutique hotel located in the district of Maipú, just 12 minutes from the city of Mendoza and close to important wineries such as Bodega Familia Zuccardi and Bodega López. It also offers spa, casino and restaurants. 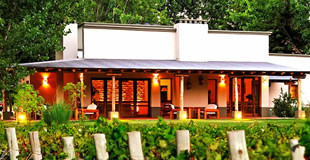 Algodon Wine Estates offers an 18- hole golf course, a prize winning restaurant; beautiful wine tours and wine tastings, and an elegant lodge with rural style that provides its guests with modern facilities and an outstanding service so that they can feel “at home”. 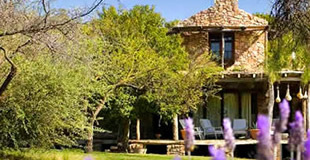 Finca La Carmelita is a rural hotel located in San Rafael, Mendoza with a spectacular panorama of the Andes mountains. Here you can appreciate nature, its colors, its peace and tranquility. On the La Carmelita property, grow Cabernet Sauvignon grapevines, as well as olives and plums. 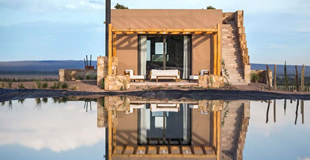 Altalaluna is a boutique hotel with spanish colonial style situated among vineyards in Tolombon, just 10 minutes driving from Cafayate Wine Region. The hotel has warm rooms and suites with views to the vineyards, a gourmet restaurant and spa. 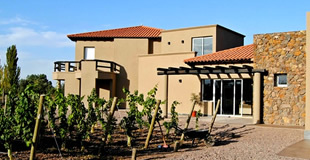 La Casa de la Bodega is a boutique hotel-winery located in Cafayate Valley, just 15 minutes from the town of Cafayate. It has 8 exclusive rooms, 5 of them overlooking the vineyards and the rest of the gardens and pool. 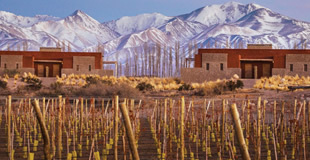 Viñas de Cafayate is a wine resort located in one of the most important wine-producers cities of Argentina, Cafayate. Is a unique quality resort, ideal for the ones who enjoy to be in contact with nature and for wine lovers particularly. 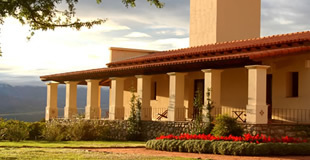 Posada Chañarmuyo is a magical place between vineyards and La Rioja landscapes. An unique wine cellar located at the foot of the Paimán chain, more than 1700 meters over sea level. In this framework we find this charming inn with high quality services. Las Jarillas is a beautiful inn located in San Javier, Traslasierra Valley in the province of Córdoba. 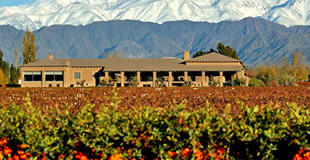 It has a boutique winery and vineyards that produce Malbec and Cabernet Sauvignon varieties. It offers a framework of tranquility in a wonderful environment. First boutique urban themed wine hotel in the city of Buenos Aires. Its underground cellar, El Misterio de Baco has more than 400 labels. The hotel has 22 rooms with all the necessary comfort. It also has a restaurant and a spa. The Campotinto Inn is located in a 25-hectare farm with views of vineyards and fruit trees, just in front of the San Roque Chapel. It was conceived as a warm and sophisticated country house, with the spirit of Italian Tuscany. Hoteles Boutique de Vino. Alojamiento en Bodegas. Enoturismo Argentina. Wine Tourism Argentina. Wine Tours Argentina. 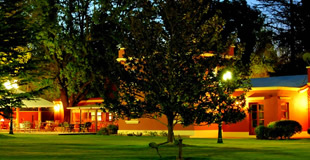 Hotel Rural Mendoza. Hotel de campo Chacras de Coria. 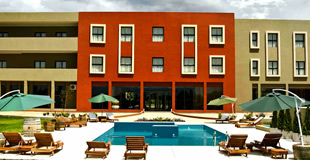 Mendoza Hotels. 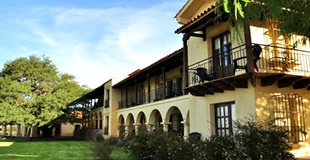 Cafayate Hotels.